The R.G. 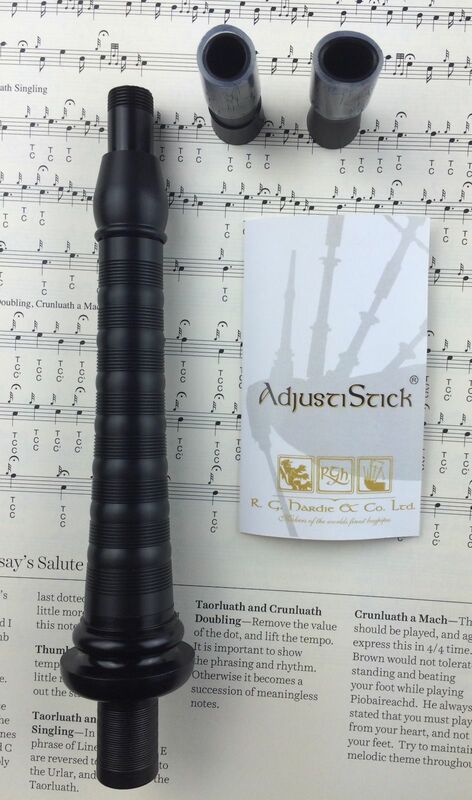 Hardie AdjustiStick is the world’s best adjustable blowpipe for bagpipes. 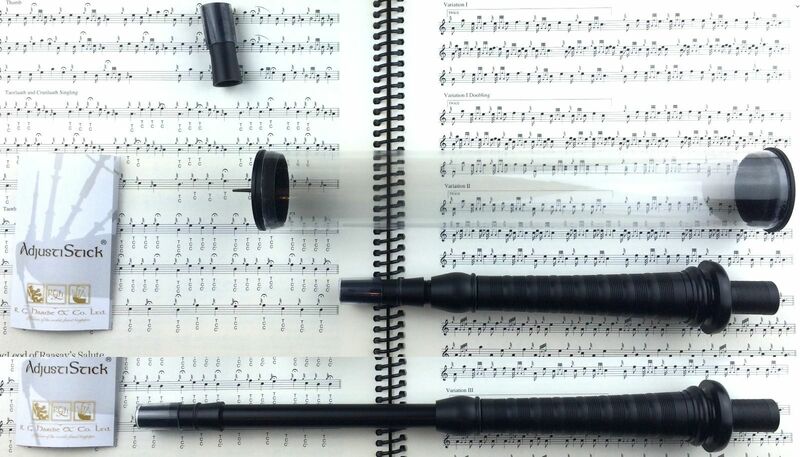 Precision made adjustable blowpipe that allows you to adjust the blowpipe length for optimal playing comfort. 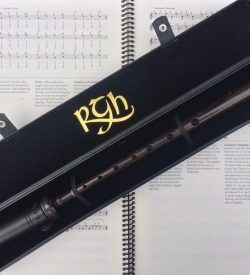 Sleek design maintains the traditional, classy look desired by pipers, unlike many other adjustable blowpipes. 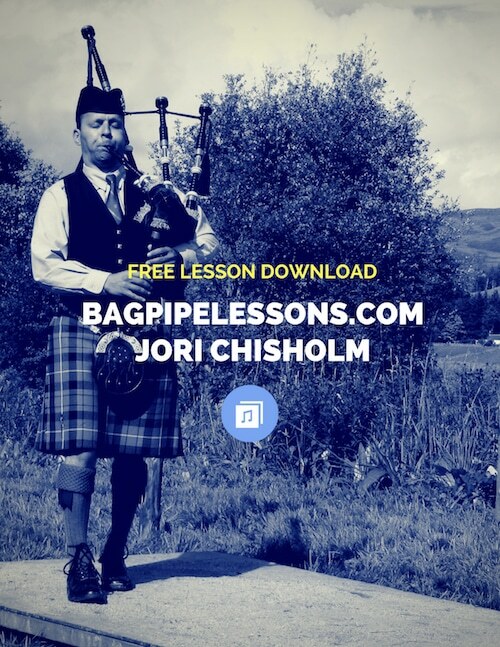 Made in Scotland by famous bagpipe maker R.G. Hardie. Built in long-lasting and free-flowing valve. 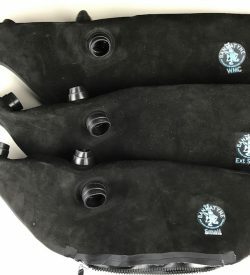 Can be replaced if needed (unlike the Airstream-brand blowpipes). 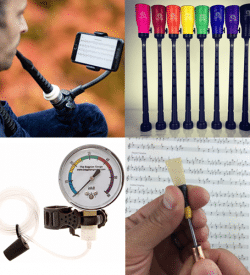 Easy-to-use adjustment: simply untighten the locking bulb and extend the mouthpiece to desired length. 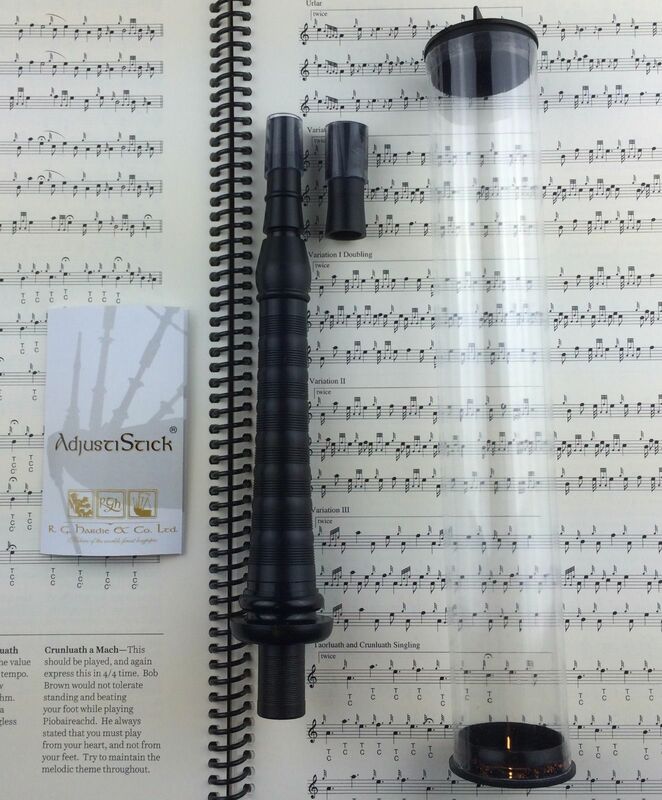 Includes TWO mouthpiece tips: traditional round and newer oval for more ergonomic fit. 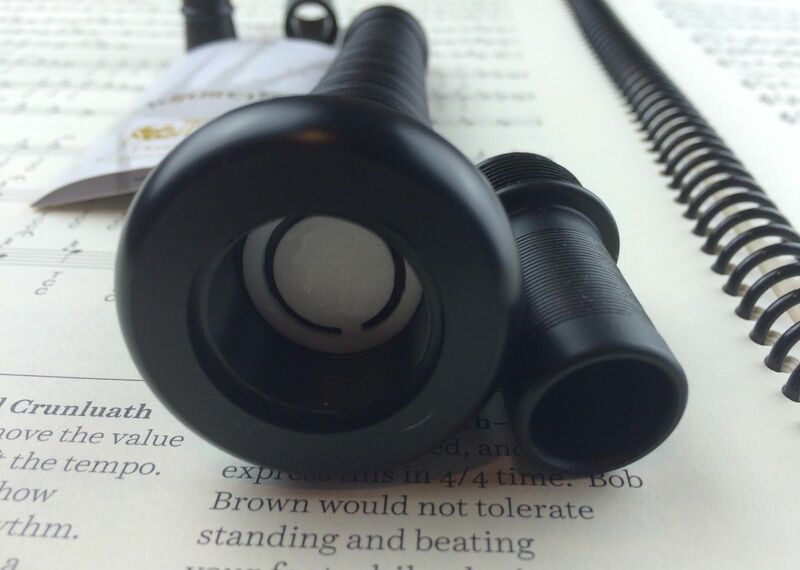 Low profile black mount will match any set of pipes. 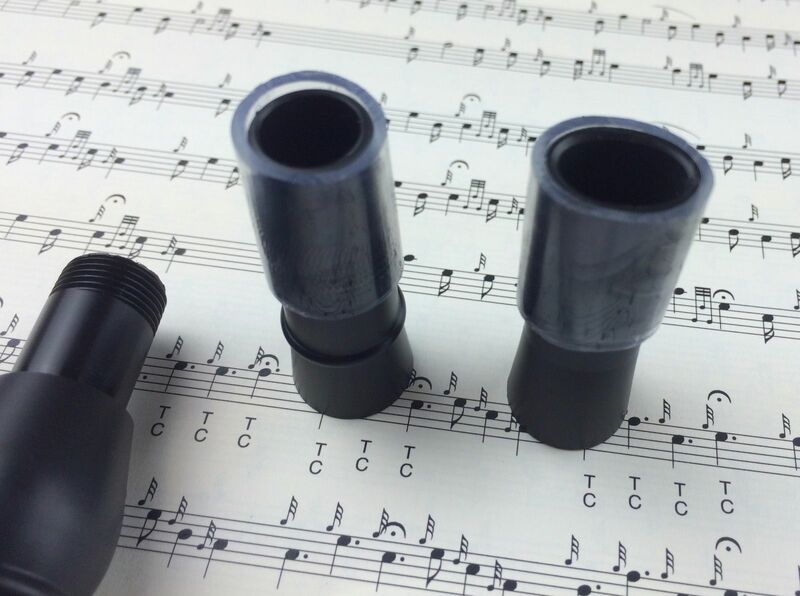 Made from high quality delrin/polypenco/acetal which will never crack or warp due to moisture.